How can I decrease AVI file size when I Render to AVI in MMD? 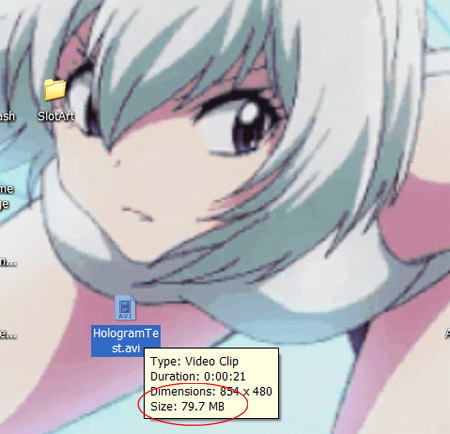 How can I make my MMD .avi file size smaller? Where can i get Prism video converting software? DO NOT reduce AVI file sizes that go up to YouTube. I have been using the “UtVideo YUV420 BT.709 VCM” codec for my video compression tool when doing a Render to AVI in MikuMikuDance. The resulting video is excellent… and the final AVI file-size is pretty large! … but TRY this Codec… you will like it. Download the install.exe, install it… and when you are running MMD, see the UTVideo option as a compressor choice as you render to AVI. 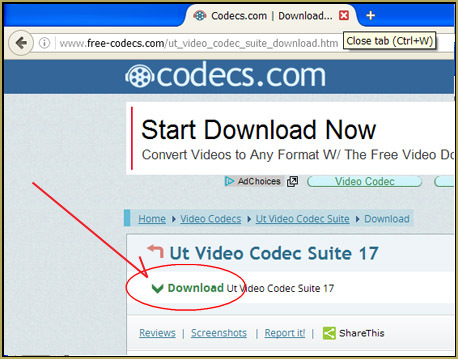 … You will see several UTVideo codecs in the list, I always use the topmost choice, the .709 version. I just made a twenty-two second animation with the resulting video being almost 80 megabytes! … Okay, THIS exact video has no soundtrack… no sound. … but look at that image… My original ARROW video (the one named Weds PM.avi) was over 400Mb, and with the soundtrack and the beautiful video images, it was reduced to only 20Mb. Download and install Prism. It’s easy and it’s free. Each time you USE Prism, a little pop-up asks if you are using it for personal use (no charge) or for commercial purposes (need to pay for the use). 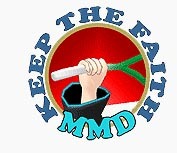 For our hobby of MMD, just check “personal use”. On the Prism GUI, set the output to AVI. … and then setup your Encoder options. For my latest little Hologram video, I just went with the defaults (as shown in that image). For my Arrow animation, my original video was so huge, that I set the encoder for some of what I thought would yield a minimum file size, maximum compression. … and I chose the “UtVideo YUV420 BT.709 VCM” option rather than the default “H264 (native)”… output Mp3 audio at only “22050 Hz, 128 kbps, stereo” as I tried to get that smaller file size. As I said, “Arrow” went from nearly 800Mb (my actual final, finished AVI size) to only about 20Mb… and I feel the final video has all of the quality that it needed after it got through the YouTube processing-mill. 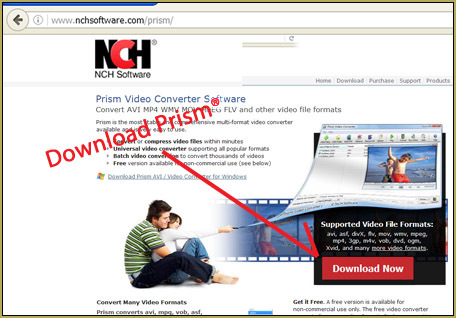 So… download Prism video converting software and try out the various options. I have found that, even on my slow DSL connection, I can upload a video to YouTube in the time it takes me to write the video’s description! Use ffmpeg to convert lossless video to a smaller size: http://ffmpeg.org/download.html under “Get the packages”. The main setting is quality, using ‘constant rate factor’ method. For higher resolution videos, could probably use slightly lower quality, but not really important. YouTube’s bitrate depends on resolution, so there’s no point in having a very high-bitrate (quality) video of small resolution. With the -crf option, lower means higher quality. YouTube’s bitrate for 720p videos of ~2Mbps corresponds to a crf of around 20~30 for typical videos; maybe 20 for a static camera, and 30 for a fighting game. Normally, doubling bitrate means crf is lower by 6. So a crf of 17 or 18 is generally as low as you would need to go for a YouTube video, although it’s twice the size of crf 23 and only looks better if you pause it and look close. I think for audio it makes the most sense to just copy it from the lossy source (don’t copy .wav audio when uploading), but 200 kbps is more than enough. I personally can’t tell the difference between 70 kbps and 150, but some people can. Since YouTube reencodes videos, there’s no point in trying for best filesize. Slowest speeds can take 4x longer for 10% smaller size. This automatically selects the x264 codec based on the file extension, and uses the ‘medium’ speed preset. Good information… Thank you! My method, as I describe in my article, has drawn criticism as my method may reduce image quality. I believe image quality remains strong and the savings in file size that I have seen comes from the WAV file being converted into… Mp3?… during conversion. I think one reason for uploading a larger file than seems necessary is that YouTube uses two main codecs, H.264 and VP9. I think VP9 is better at preserving sharp lines than H.264, in addition to being better (but much slower to encode) overall. But if the background behind the models is complicated, VP9’s compression techniques won’t give it much advantage. You could actually measure the quality loss; this would involve reading the ffmpeg manual, learning how to use the libvmaf filter, and then measuring the ‘psnr’ (peak signal to noise) and ‘ssim’ (structural similarity) numbers for a video encoded directly to a certain bitrate similar to what YouTube uses, and for a video that has an intermediate encoding step at a higher bitrate/quality. In your case, the largest YouTube format for the Arrow video is around 13 MB for audio+video, so a 20MB upload seems like it was a healthy margin. For a relatively static video, a tiny decrease in quality isn’t noticeable, though for a very active video that already has issues at YouTube’s bitrate, someone might try for even a small increase in quality by uploading at higher bitrate. If I wasn’t lazy, I would write my own guide on encoding videos using ffmpeg, maybe including doing subtitles or something with it, after checking to see what LearnMMD already has on the subject. But at least I commented about it. Like, you can do chroma key stuff with ffmpeg; the latest ‘cool’ thing I learned about is the minterpolate filter, which isn’t useful for MMD though. I have started using prism like you said, but now that I have been using it for a while, Prism will no longer allow me to convert mmd renders. I receive a pop up that I have to pay to complete the action. What do I do? I have been using prism all this time (about a week) and i have enjoyed using it. hmmm.. I am still using Prism 2.25… and whenever I open the program I do get a pop-up that asks if I am going commercial or just for my own non-commercial home use… I always click home use… and it lets me use it, no charge… it’s version 2.25 that I downloaded in 2014. I have no problems with it. I will download that version then. I guess when I downloaded it I got an updated version. I cannot seem to find your version anywhere! I’m not sure what to do. I have stopped rendering my motions because they lag if I try to play the file when the file is too large. Is there anything else I can do? Are you still answering questions? 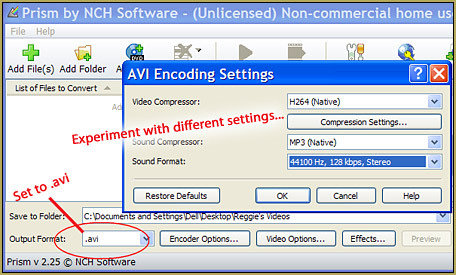 What codec do you use to render your videos in the first place? I use ffdshow to render my videos. It gives good quality but the file sizes are a bit on the large size. When i would convert with Prism, it would shrink the file without hurting the quality. I see. Well, in such case googling “prism old version download” should eventually give you something you can use. Thank you, Jade… that’s my experience, as well… the final AVI file is much smaller but the quality seems to match the original. The smaller file size might come from the audio being shrunk into an Mp3 during conversion.